Welcome to Instorage Yorba Linda New Website! 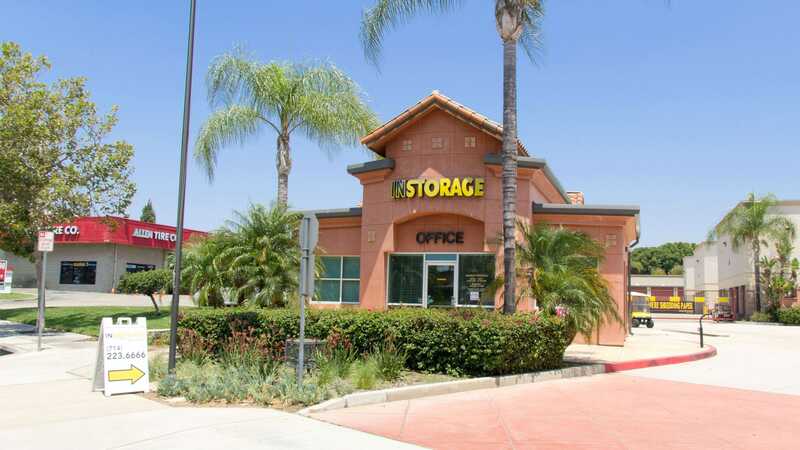 Welcome to Instorage in Yorba Linda, CA! 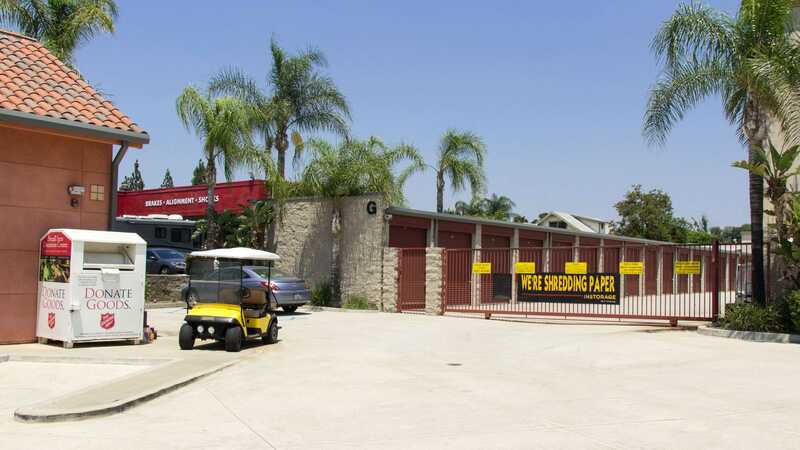 Proudly serving the small city of Yorba Linda, CA, Instorage has all the self storage conveniences you need. We’re just miles from California State University in Fullerton, which contains the largest student body of any CSU campus. Yorba Linda has something to offer to people from all walks of life, and so do we. 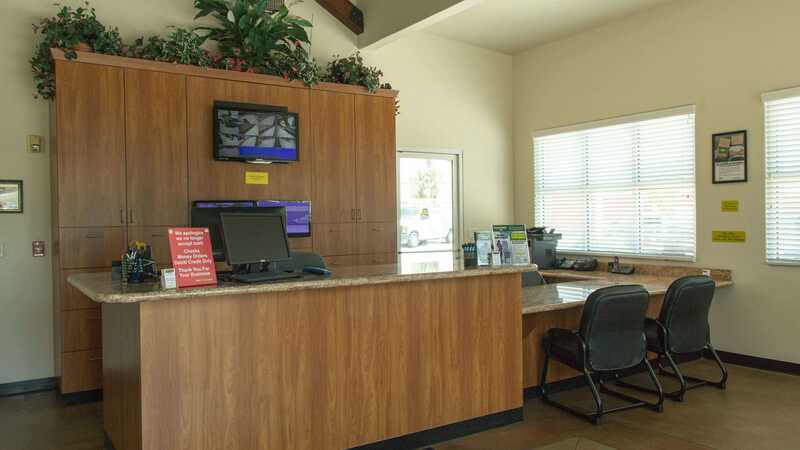 Our numerous amenities tend to your unique needs, whether you’re a college student in between moves, a business owner with limited space, or an avid antique collector. There’s no shortage of features at Instorage; we offer commercial space, tenant insurance, locks, moving supplies, and much more. Our ground-floor storage units have drive-up and indoor options so you can easily access your belongings wherever you prefer to keep them. And if you’re in the moving process or transporting many items, take advantage of our free move-in truck with your rental. Our month-to-month leases, online payment system, and zero-deposit requirement give you control so you only pay for the storage you need when you need it. With 24-hour security monitoring, video surveillance, and door alarms, our fully fenced and well-lit facility ensures your peace of mind. 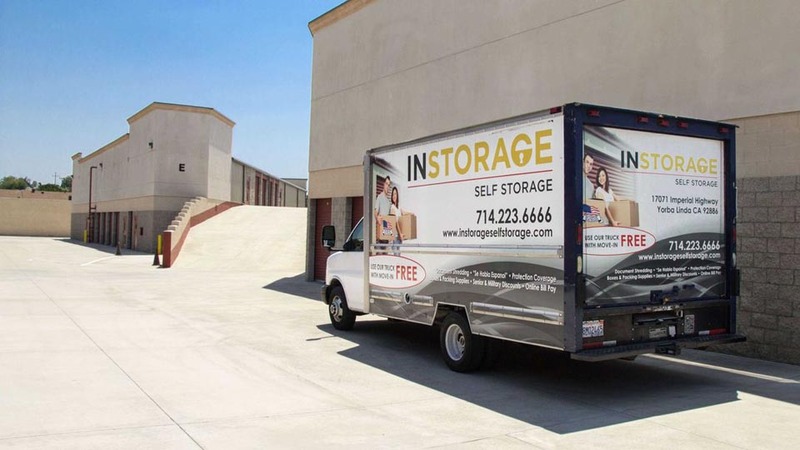 We make it easy to find and access your storage space at Instorage in Yorba Linda, CA. Contact us any day of the week, and let us accommodate you! Linda is very efficient and she took the time to find me a storage that works for me. I appreciate people who walk the extra mile to help others. Kudos to Linda! More power to Instorage! Lisa was great! She helped me out and made the paperwork process simple. Great place! Great and friendly staff. The place looks very clean and was a great price. Great services Vivian was a great help! Very knowledgeable and efficient front office service, friendly, accommodating and thorough. The facility is clean and organized. I am moving from a nearby long term rental (elsewhere) to Instorage and am very happy so far! I cant say enough great things about Instorage. The customer service was extremely unexpected.. Vivian the lovely woman at the front desk.. blew me away at how friendly professional and inviting she was. I felt like a member of the family. I feel so at home and knowing that someone there actually cares enough to make the moving process less painful than it usually is... There needs to be more Vivians in the industry... thank you for being my angel during such a hellish time.. The storage property is well kept. Secured and extremely convenient with multpile entry ways. I really appreciated the free use of their 12 ft moving truck!!! I recommend this place HIGHLY. Today is my first day moving in. They were very helpful in finding me a unit that was big enough but also in my budget. I feel very lucky that a unit was available and close by my house. The rent is very reasonable and I\'m looking forward to the next chapter of my life. Thank you for making this stressful time easier. In Storage Yorba Linda is the best! The place is very clean, the prices are reasonable and the staff are awesome. Vivianna is so welcoming, knowledgeable and incredibly helpful. She can answer any questions, and get you in a space quickly and honestly! I have had my stuff there for maybe 2 years and haven\'t had any issues at all. They can even send you reminders to pay your fees if you forget! I totally recommend them! I had a great experience renting a storage unit with Instorage. Vivian provided great customer service. She understands that moving can be stressful and she was extremely helpful and calming. She is very professional and a great asset to your company. I will highly recommend your company. The staff here is awesome easy to work with. The prices are reasonable for the area. Used them 10 years ago, came back because I knew they\'d treat me right. So far they have. 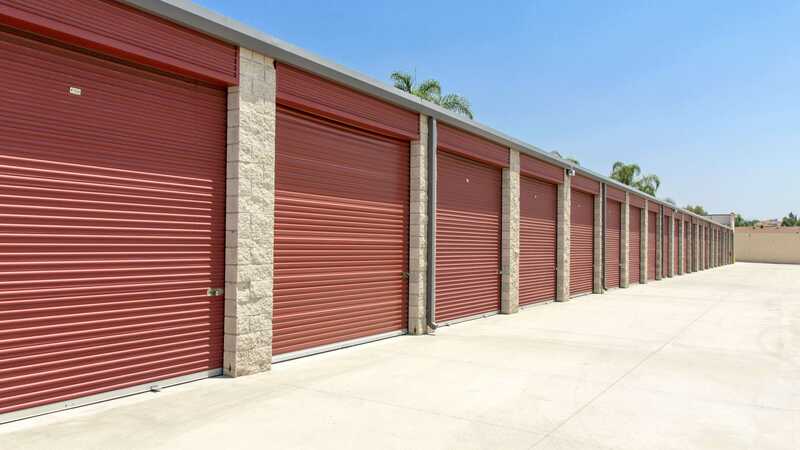 This Storage Facility is very well managed ,very clean, and very functional. The staff are very helpful. In particular, \"Vivian\" , who took care of me in setting up a space for a rental term. She is one of the nicest people I have ever had the pleasure of doing business with. I understand she has a job to do in renting out storage units for Instorage and managing the accounts, but she is nice ,friendly, and easy to deal with. She goes the extra mile to set you up in a storage unit that is workable for you, the customer. I highly recommend Instorage to anyone who has a need for short or long term storage of their personal property. Once again, Thank You Vivian for your great customer service. Where do I begin? I was recommended to this facility from a friend and I can see why. I\'ve been renting here for a couple of years now and I\'ve never felt so secure that my belongings and valuables were safe. The customer service is amazing, they never hesitate to go out of their way for you or even save you money if they can. The facility is always clean, the access hours are great and now I\'ve recommended this facility to a few friends and I was giving her a $30 credit for each one. Does it get any better? I had a wonderful experience storing here. I would highly recommend talking to the Manager, Eddie. He is so competent and helpful! Best facility ever. used for years, employees very helpful. facility very safe and secure.